Working in all Phones – Java, Symbian, Windows, Android etc. Any internet Ready Device Needed Like Android. At first recharge any 2G plan with 30day validity. Dial *129# From your Mobile, you will see full menu, you will find 9 rs store, Click on it & you will get 9 Rs 1Gb 3g Data Menu for One Day, Activate that pack, it will charge you 9 rs for Activate this pack. 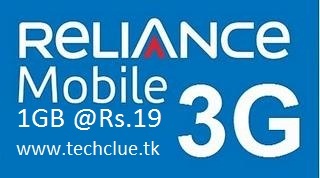 Now after Activate 9Rs 2g Internet Pack For One Day, Your validity will extend to 30 Day. Now Goto Messages Type – “MN10” send it to “53739” or Dial *565*010# , it will cut 10 rs from your Main Balance. Wait for minimum 5 Hours. After Use 30 Mb It will give you 3g rocking speed like paid for 1gb.